Our client is one of the world's leading professional services companies, transforming clients' business, operating and technology models for the digital era. Our unique industry-based, consultative approach helps clients envision, build and run more innovative and efficient businesses. Headquartered in the , Our client, a member of the NASDAQ-100, is ranked 205 on the Fortune 500 and is consistently listed among the most admired companies in the world. Our client's Quality Engineering & Assurance practice is amongst one of the largest software testing practice in the world, having over 35,000 practitioners, and recognised by all major analysts as an industry leader. We are engaged with a large number of Fortune 500 global organisations helping to resolve some of their most challenging and critical business problems. Develop code based on client requirements in alignment with standards and object-oriented methodologies. Develop unit test plans leveraging manual/automated test approaches (eg. JUnit). Deploy Java-Spring and Web/Mobile applications across multiple platforms within large/distribute client environments. Create, update and maintain detailed design documents. Resolve defects allocated within service level target. Participate in Quality Assurance reviews and the implementation of findings. Ensure tasks are undertaken within budget and to the allocated timeframe at the appropriate level of quality to achieve requirements. Escalate appropriate technical issues and prepare reports as appropriate. Developing competency in a back-end Object Oriented Programming Language, preferably J2SE and technologies such as; JDBC, Java collections, Java IO concurrency and reflection. Developing competency in enterprise application frameworks, preferably Java frameworks such a Spring and/or J2EE technologies including: EJB, JPA, JSP/JSF, JMS (desirable). Developing experience in IDEs such as IntelliJ or Eclipse. Developing experience in build & deployment technologies such as Maven, Gradle, etc. Developing skills and experience in DevOps (Build and/or Ops). Developing experience working with Software Configuration Management / Version control tools and processes including; Git, SVN, etc. Understanding or exposure to Jira in relation to Agile task allocation and defect management (desirable). Developing experience in writing and deploying code on both Windows and Linux platforms. Strong customer focus and customer centric approach to work outcomes. Capability to undertake a consulting position, evidenced by a well-developed oral and written communication skills, analytical and conceptual skills. Specialist graduate and internship recruitment agency. 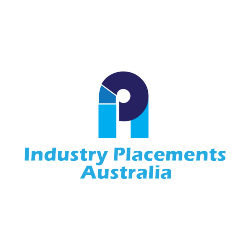 Vision to facilitate work placements for all students studying at a tertiary level or above in Australia to be completed during their studies. Hi Jack, Reach more people by sharing this job with your network. Get updates on latest IT & Technology Jobs in Australia - Melbourne.